Its been past couple of months since I last wrote. Lots of things have happened, family situations that need to be taken care of, working and taking another job, and try to get my personal life back on track. 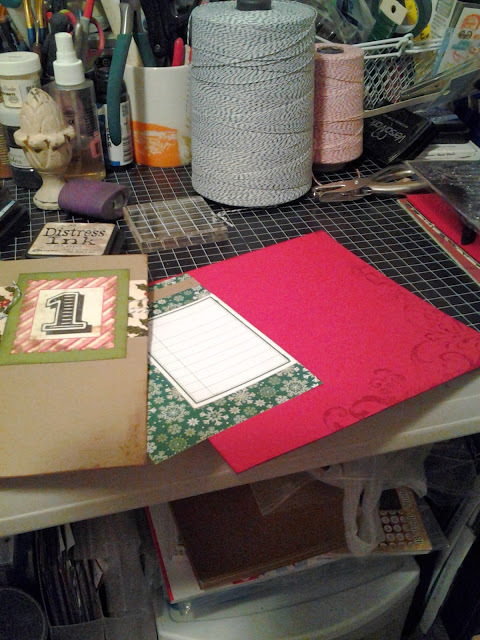 I'm crafting again, since were in a whole new month and its December. Yay! This, I want to enjoy Christmas joy and have fun with this new month. So I will be doing my version of Daily December, I have seen this done with scrap bookers and doucument the whole month of december. Some stop on the 25th but I'm going beyond until the New year. Were now in the 3rd of Dec., and I still doucument today. I hope I'm I make it through until Christmas, still lots to do. Shopping needs to be done, cleaning always, and more crafting to do. Today it snowed! Enjoy the day while I clean up and get dress.